Our first multiplayer tournament was a ton of fun! Everyone got a chance to practice ahead of time, so the competition got off to a great start with players trying out their best tactics while zipping around the arena. Aaron quickly took the lead, however, and continued to stay strong while Mikayla and Ben battled it out for second and third. At the end, the players posed with their prizes and mimicked their in-game winners' pedestals, with Aaron reveling in his victory. 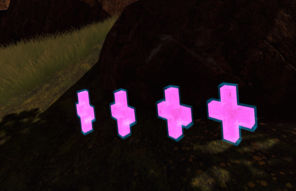 VR team-building: sports, cooperative quests, and more! What else can we play? We are happy to cater to your team’s needs and interests. Looking for some friendly competition in mini-games that are sure to make you laugh? Check out Loco Dojo. How about team-based paintball, but without the mess? Rec Room is for you. Or, if you prefer cooperation, Trickster VR and Drunkn Bar Fight have been favorites of many teams. These are just a few of our many games and experiences that you can choose from. You can swap in and out of the options as much as you choose, so there’s no need to commit to one up front. How can strapping on headsets be a social, team-building experience? Several of our game options are multiplayer, so even though only 1 person can use a headset at a time, everyone can be in a virtual world together. You can hear and see each other just like in reality - except you’ll be able to do all kinds of things that you can’t do in real life. You can work together to stop an onslaught of monsters, or compete in a giant soccer match (no running required). Also, we usually recommend bringing more people than the number of stations that you’ve booked. We do this for a couple of reasons. First, each VR station has a TV attached so that everyone else can see what the person in-headset is seeing. It’s a lot of fun to watch your teammates dodging paintballs and throwing punches in their own world, and we have several couches, chairs, and tables so that you can relax and enjoy spectating. 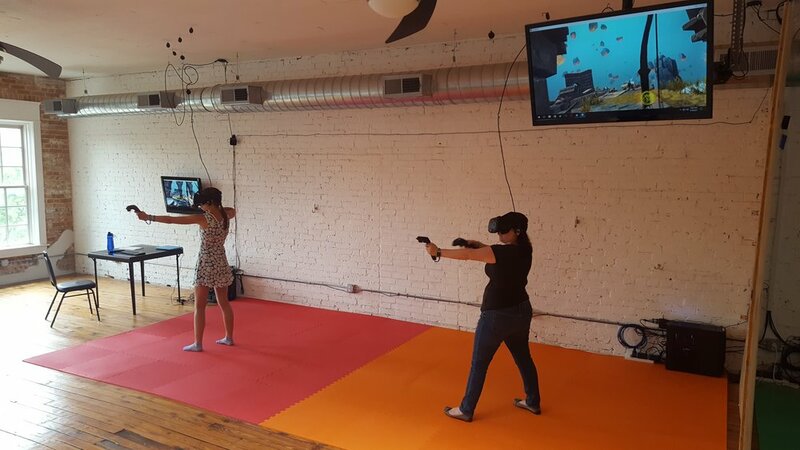 Second, many VR games can give you a bit of a workout! It’s nice to swap out and take breaks in between experiences. When you’re out of the headset, you can check out our retro gaming systems, because Mario Kart, Super Smash Bros, and Mortal Kombat will never go out of style. What if we’ve already spent our fun budget for the year? Many work teams consider visiting us to be research! While we focus on VR gaming and entertainment experiences, VR has potential in industries far beyond that. If you don’t already use it in your workplace for education and training, long-distance communication, data visualization, or another purpose, then it’s likely coming soon. Get a headstart and come explore the technology with us. With our variety of package options that adjust both the number of stations and the length of time, you can easily select an option that suits a group of anywhere from 4-30 players. These packages can be booked for any day of the week and any time of day. If you’d like a recommendation specific to your group, would like us to come to you instead, or have questions about booking, don’t hesitate to get in touch. Take turns spinning the wheel and advance through a variety of challenges which incorporate the full range of interaction available within your virtual space. This wacky Mario-Party style series of minigames supports 1-4 players, but is best experienced with 2+ players. Amazing graphics, quick pace, and good-natured competition make this an Augmentality Labs favorite. Developer: Make Real. Loco Dojo is on the easier side of games to step into and get the hang of, and our staff is always there to talk you through the controls for each individual minigame. If one game is a bit too complex, the next is sure to be more straightforward, and the minigames fly by quickly. One minute you’re smashing each other’s eggs with boxing gloves, and the next you’re dodging sharks - but everything can be explained quickly so you can get into the game. It’s hard to pick just one in a game that has barnacle whacking, “cat-a-pults” (with actual, virtual cats), and pig racing, sometimes all within a 10-minute span. However, sausage nunchucks take the prize here. Wielding them in the game to protect your piglets is oddly satisfying, and, from the outside, watching your friends whirling their arms wildly in circles never fails to be hilarious. Loco Dojo has something for everyone. This is a good choice for adult groups with mixed gaming experience, parents who want a kid-friendly multiplayer option, and corporate groups who want something to step into and pick up quickly. 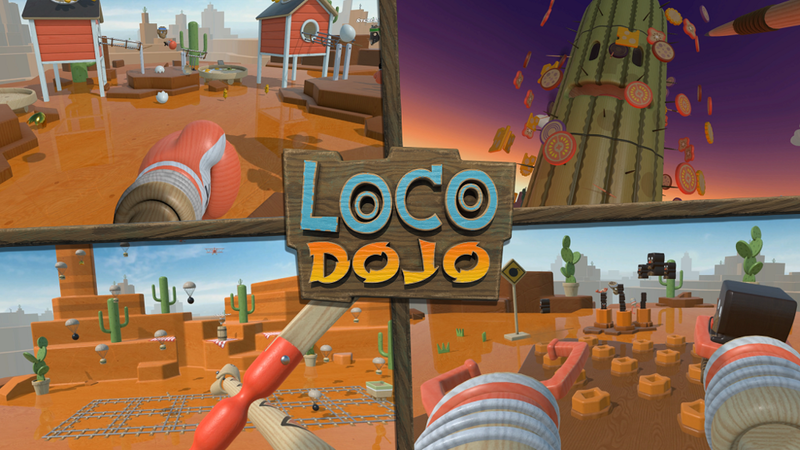 Loco Dojo is a great game for anyone looking for a multiplayer VR social experience - hop in and try a couple of the minigames, or spend an hour collecting coins to secure your victory! Looking to learn more about our Protonwar tournament on February 2nd? We’ve covered the timing, free practice sessions, and rules here. Read on to discover more about the game itself. First off, even if you’ve never experienced VR before, don’t be afraid to give our tournament a try. After all, your entry includes practice sessions all afternoon before the tournament at 7 pm, is less than the cost of a normal VR session, and has the added fun of competition. We’ve purposely selected a game that anyone can step into and learn quickly. The objective of Protonwar is simple; if you’re familiar with video games it’s similar to Halo/Quake/any arena-style shooter. Just kill your opponents more times than they kill you, and you’ll advance to the next round. But wait, how can you do that if you don’t know how to play? Easy - screenshots of everything you need to know are right here (and don’t forget, you can come in early to fit in some practice, included with your entry fee). To start, identify which hand is holding the gun in the game. Then, physically swap your controllers in real life so your gun is in your dominant hand. Now, you’re ready for the tactical basics: shoot, move, and communicate. To shoot, pull your dominant hand trigger. Sometimes you will find that instead of holding a gun in your dominant hand, you will be accidentally holding a sword! This just means that you’re out of ammunition and need to go find another gun. Or just keep swinging your sword around because it’s fun (even though it’s not the most effective weapon). 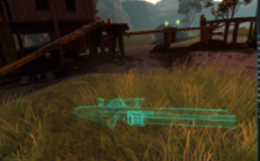 Each gun respawns after a given period of time, and the neon color indicates that someone else has already picked it up recently. How do you move over the new gun to pick it up? You have two options: the more immersive option is to swipe your thumb across the touchpad, which simulates walking through the environment. But be careful - this makes some people feel a bit sick! If this is you, simply keep your thumb away from that touchpad, and pull your non-dominant hand trigger to teleport instead. A blue beam of light shoots out, and you aim this beam to where you want to go until a blue circle appears. Once the circle shows up, you let go of the trigger and you are instantly teleported to this location. Sometimes, it can be helpful to teleport many smaller, shorter distances instead of one larger distance so that you keep your bearings a bit better. Very few people feel VR sickness when opting for teleportation. Your 10’x10’ mat allows you to move your real-life body to duck behind cover or peek around corners, and we definitely recommend taking advantage of that. Finally, you can also jump by pushing in on the touchpad. Jumping repeatedly as an opponent is shooting you is great for entertaining spectators. In addition to weapons, as you move, you’ll find health packs, armor, and ammunition. Again, if it’s a neon holographic outline, that means it’s not available to be picked up. Lastly, communication. Don’t forget that you can simply talk to and hear each other in-game. Very useful for distracting an opponent as you sneak up on them with your sword. And that’s it - that’s all you need to know. Seems easy enough, right? Next steps: invite your friends, and then come on in on February 2nd to take your shot at winning the prizes going out to the top 3 players!